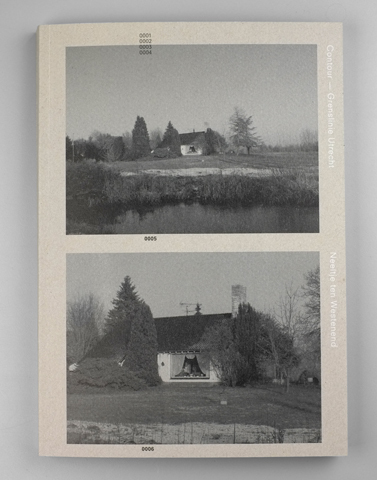 Together with photographer Stephan Keppel, Neeltje ten Westenend travelled and documented the complete border of the central Dutch province Utrecht. A border of that has changed various times since it was first drawn in 1300. Ten Westenend looks with the same focus to historic and architectural landmarks, and results of urban planning, as she looks to accidental encounters, sand heaps and the changing weather condition. This makes ‘Contour’ a publication about the problematics of observing and mapping; about facts and intuition. It is a poetic index that gives a unique insight in the Dutch landscape.